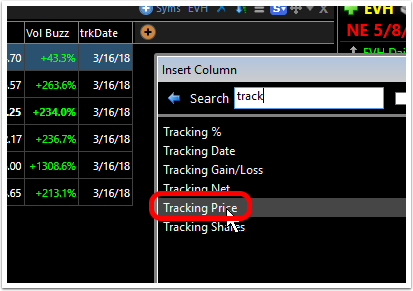 For any Personal WatchList, you can set up tracking columns that allow you to follow the progress of a stock over a period of time. 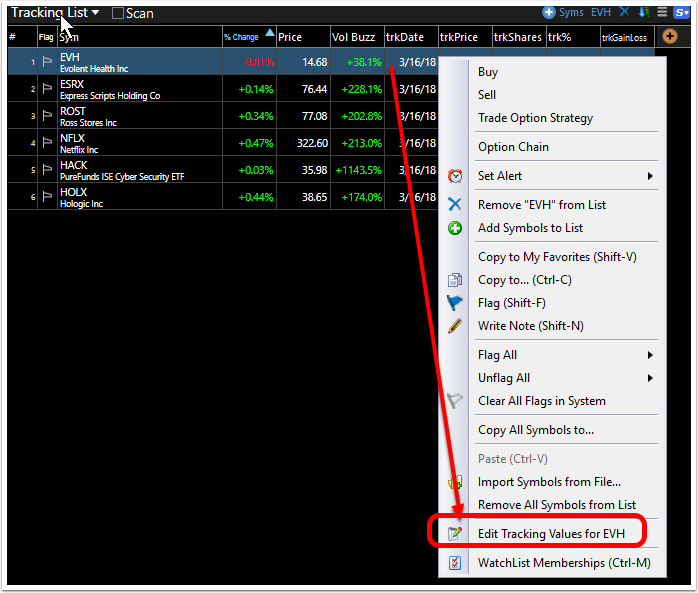 Set up tracking on each stock with entry date and price along number of shares to track the stock's performance. Here are the steps for setting up the tracking columns. In the Search field, type part of the word "tracking". Each of the tracking columns appears in the list. Click the Keep Open check box in the Insert Column box to add all the tracking columns without going back through the add button step. 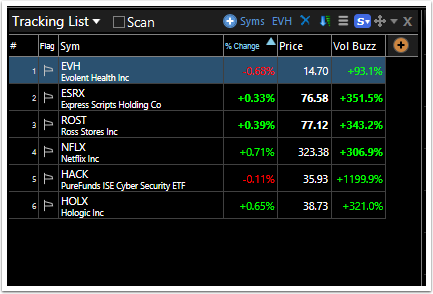 Repeat for each stock in WatchList. 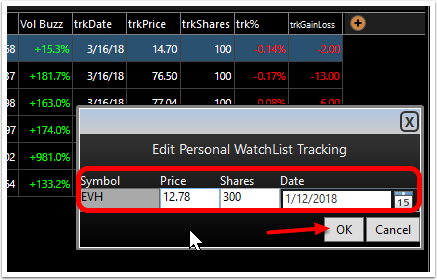 Once the fields have been defined for each symbol in the WatchList, the values will track from the date/price/#shares selected as long as the stock stays in the WatchList.